Detroit in the US is today only a shadow of its former glory. Detroit in the United States, once renowned for its motor industry, is today a shadow of its former glory. Its economic and social system has broken down almost completely. There are many reasons for this harrowing picture of long-term decline and bankruptcy. It’s taken several years of mismanagement, households living beyond their means, politicians pandering to union demands, corruption, cronyism, pro-welfare policies, and the effects of globalisation. In short, Detroit lost its competitiveness and paid the ultimate price for its ‘culture of entitlement’. Arguably, the most successful export Detroit has today is the white rapper, Eminem, who unsurprisingly came from a broken family and was raised in one of the toughest neighbourhoods in Detroit. Though there are some positives, especially the revival taking place downtown, several buildings in Detroit remain abandoned. 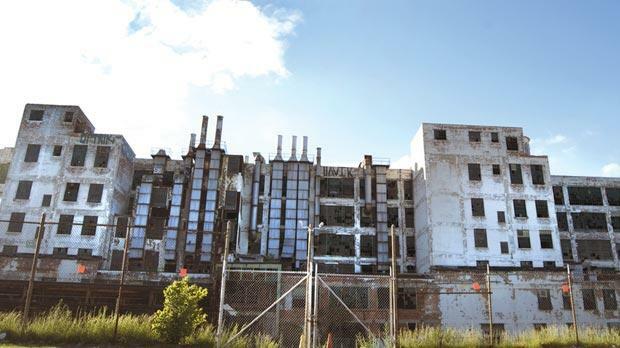 Are there lessons to be learned from the economic and social decline of Detroit? Indeed there are and one could point to some glaring parallelisms: Malta’s generous entitlement programmes; persistent budget deficits; government control; and trade unions flexing their muscle and resisting change and reform. This has been the story of the Maltese islands under successive administrations, where parties also compete by creating new forms of entitlement. The last electoral campaign was the classic example of our main political parties putting forward novel ways of extending entitlement programmes. Now I’m not suggesting that we are anywhere near the doomsday scenario that has characterised Detroit for several years but the politics and culture of entitlement is as prevalent in our country as it was in Detroit some years ago. The risks of state-dependent society are real enough and reform especially in the public sector is proving increasingly difficult. Consider the efforts to revisit work practices at Mater Dei. The initiative to erect a tent outside the hospital may have been misguided but nobody can really fault the Minister of Health for attempting to tackle outdated work practices at the state hospital. These work practices persist and the taxpayer is left to pick up the bill. One could argue, and with reason, that the culture of entitlement where everyone feels entitled to something has been cultivated by our political parties in the race to win elections. People feel entitled because they have been told they are entitled. This, together with arguably generous collective agreements in the public sector, has resulted in more entitlements, and more state dependency. Living on state benefits and enjoying privileges such as the use of fully expensed cars and other perks, as many enjoy in the public sector, is simply out of sync with an economy aspiring to go ‘global’. The culture of entitlement and the welfare system in this country is ripe for reform but finding ways to do this, in an economy which now relies heavily on non-Maltese for an increasing number of jobs, is a daunting task. The current administration is seemingly relying on the success of the Investor Programme to channel funds to continue and possibly extend existing entitlement programmes. That would make sense in a scenario where entitlement programmes are nowhere near as generous as they are today. Instead, the funds should be exclusively channelled towards investment and initiatives that promote innovation, reduce bureaucracy and assist enterprise. This, together with a national debate on our entitlement culture and eventual reform, is what the economy needs to drive it forward. Detroit was perhaps the perfect vision for a state-dependent society that finally resulted in bankruptcy. Whereas welfare programmes remain relevant, especially for those really who really need them, we need to start steering away from the culture of entitlement that in part brought Detroit to its knees. Without minimising the complexities of the Detroit experience, we should really heed the lessons of this once thriving city. Philip Von Brockdorff is the head of the Economics Department at the University of Malta.